Sterling has locations across Canada and a large dealer network selling to our worldwide customer base. With over 100 amazing employees, it's no wonder that our customer service and product quality means that YOU, the customer, is always happy! 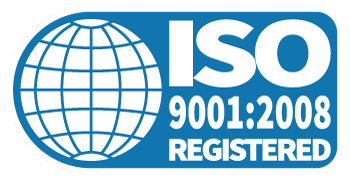 Internationally recognized as the true mark of Quality Management in over 175 countries; Sterling was ISO 9001 certified on May 28th, 2001. Not just a logo on our website but an internal shift towards a customer focused management style means that we're constantly growing and evolving and most importantly... improving. is awarded by the National Quality Institute which recognizes outstanding achievement. Sterling won the prestigious Innovation award in 1986 for its creation of the Mark Maker Seal - a personal embosser now sold worldwide with a lifetime guarantee. Sterling overcame the runner up, Bell Canada, to win the annual large business category in 1999. Judged on criteria from environmental concerns to customer service, Sterling is honoured to join the likes of 3M Canada, Union Gas, TD Canada Trust and Kellogg's Canada as the recipient of this award! Sterling was very fortunate to be recognized as the winner of the 1999 London Better Business Integrity Award in the Large Business Category. Less than two years after being ISO 9001 certified, Sterling won this award for our outstanding quality in leadership, customer focus, process management and supplier focus.